RLFANS.COM - How the mighty have fallen. WWW.RLFANS.COM • View topic - How the mighty have fallen. Board index ‹ Championship ‹ Halifax - FaxFans.co.uk ‹ How the mighty have fallen. The Wigan board is a depressing place right now. This thread sums it all up. I used to be in so much awe of this club. What a shower of sheeeeite they've become. Went downhill when they left Central Park. A bit like us and Thrum Hall. Look at the majority of scorers tonight though, Dixon, Ferres, Westerman, Tomkins, Pryce, Goulding, Ainscough and Shenton. All young British players. 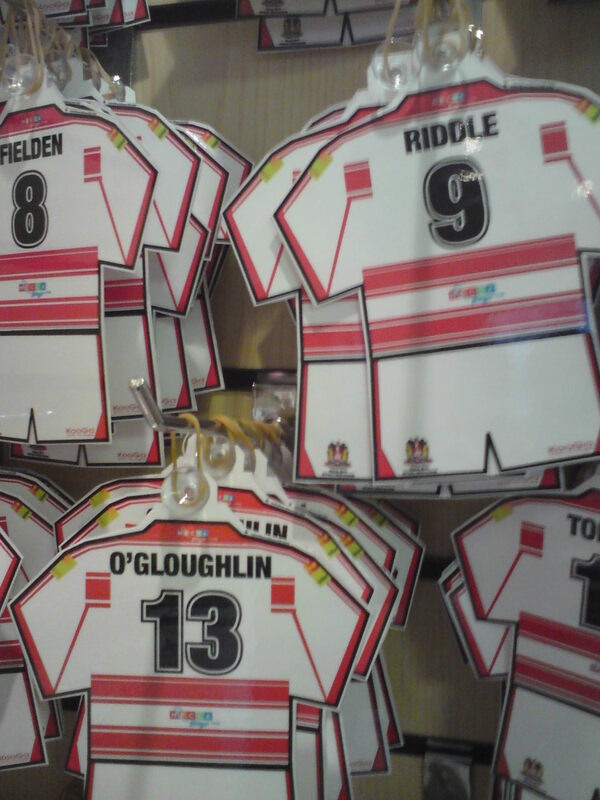 Makes you wonder why Wigan bought Riddell and got rid of Higham when the talent is there. Wigan- The Leeds United of Rugby League. Not sure what the problem at Wigan is though, they've got a decent enough squad, but perhaps Nobles tactics of 5 drives and a kick arent working any more. Never been as effective as they were when he had the likes of Vainakolo, Vaikona, Vagana, Anderson, Fielden and Peacock doing it. An its always been said he has no Plan B. Thought something was up before the season even started when that Eddie Jones @ Saracens was linked with his Job, despite having no RL expireince. 2 Players names spelt wrong, and still put on sale. Absolutely no sympathy whatsoever, and I'm surprised you are so much so, littledik! Can't stand those "fans" who reckon they've a devine right to be constantly at the top. I hope the pies continue to lose and bring their plastic fans a reality check. Being a true supporter is standing tall when your team is losing as well as winning. Get a grip. I agree - but considering where they were to where they are now, their fans haven't really left them - certainly not like ours. There's plenty of glory hunting plastic Halifax fans ("One ex fan" being a prime example) who have long since departed - and after 2003 - i don't particularly blame them. What surprises me about Wigan is how they have allowed themselves to slip so badly from being the Kings of Rugby League. It's akin to Manchester United taking up Newcastle's place in the Premiership. It's certainly a warning for Saints & Leeds. That joke is usually about the England Cricket Team. When Wigan nearly got relegated in 2006, crowds went UP as the season went on and they sold more season tickets for the next season.